Copper bearing austenitic steel 302 HQ, Normal 304 HC, 204cu and 430 are generally used for cold heading applications. The stainless steel Wires for cold heading quality are available in sizes from 1.20mm to 8.00mm. 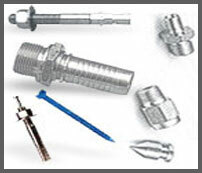 The surface finish of the Wires can be provided as per customer's requirement. Wires for kitchenware & utensils are suitable for electro polishing. 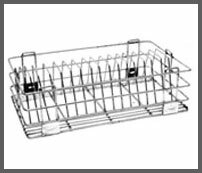 Uses :- Used for manufacturing fabricated baskets, trolleys, trays, kitchen appliances, formed parts etc. 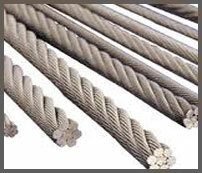 Generally type 304 & 316 are suitable grades for stainless steel wire ropes. Stainless steel wire for ropes in sizes from 0.15 mm to 0.90 mm, in bright finish and 1.0 mm to 6.0 mm, in matte finish. Generally type 302, 304 & 316 are suitable grades for spring. 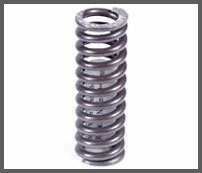 Stainless steel spring wire are supplied in sizes from 0.10 mm to 4.00 mm in bright finish and powder coated finish.